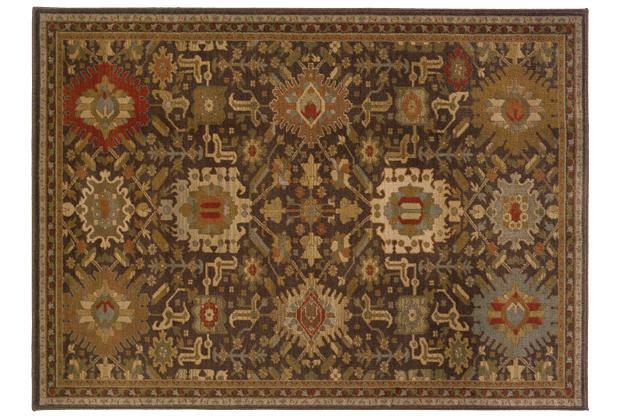 The Casablanca 8x11 Rug by Oriental Weavers at Miskelly Furniture in the Jackson, Pearl, Madison, Ridgeland, Flowood Mississippi area. Product availability may vary. Contact us for the most current availability on this product. Casablanca offers exceptional depth of color, silky hand and unmatched durability in a collection of timeless patterns with modern integration. Using a revolutionary space-dyed nylon/polypropylene blend, the palette highlights modern pastels like dove grey, warm copper and cool sage to set off the sophisticated base of ivory and warm cocoa. Deeper colors in shades of slate blue, ochre and a burst of persimmon bring a rich vibrancy to the line. Colors may not be 100% accurate due to printing and monitor limitations. The Casablanca collection is a great option if you are looking for Rugs in the Jackson, Pearl, Madison, Ridgeland, Flowood Mississippi area. Browse other items in the Casablanca collection from Miskelly Furniture in the Jackson, Pearl, Madison, Ridgeland, Flowood Mississippi area.